The Hate U Give by Angie Thomas was in my top reads of 2017 and the movie has been one of my favorite films this year. This book is great for inspiring that next generation of activists. Hunger by Roxanne Gay is a moving memoir about the author’s experiences that led her to overeating and how she has learned to live in her body and appreciate her body. Every few months, I find myself bringing up This Side of Home by Renée Watson. I absolutely loved reading it last year and I continually think about it from time to time. Gentrification, inter-racial relationships, and what it means to be family are just a few of the overlapping themes in this beauty. All American Boys holds a special place in my heart because it was the beginning of my love for Jason Reynolds. Brendan Kiely also does a great job in this novel and the dual perspectives set this novel apart from many others. I recently received Teach Us Your Name by Huda Essa from the publisher in exchange for an honest review. The book teaches young students to respect each other and take the time to properly learn the names of their classmates. I really enjoyed the book and feel like it would make a great addition to a classroom or home library. I read Safari Kids by Katrina Streza through Netgalley. It’s a really cute story for animal lovers and adventure seekers. My Pop Pop and Me by Irene Smalls was one of the first books I read through Netgally. It’s an adorable story about a boy cooking with his grandfather. Superhero Harry by Rachel Ruiz is a funny chapter book about a rejected superhero. To All the Boys I’ve Loved Before by Jenny Han is a cheesy YA romance by all means. This would have been my cup of tea during that phase I had in middle school and it could be a great gift seeing as the movie is out on Netflix. The Sun is Also a Star by Nicola Yoon is the opposite of a cheesy love story. It handles real issues while taking into account the matters of the heart. It’s a beautiful story of love, loss, and how the littlest of actions can have a huge impact. Eleanor & Park by Rainbow Rowell is the quirky romance that you didn’t expect wanting so badly. I will admit, I didn’t love One of Us is Lying by Karen M McManus, but I do appreciate the mystery. Had I read this right after reading We Were Liars by E. Lockhart, I may have thought differently, but it wasn’t too shabby. Turtles All the Way Down by John Green took me in a completely different direction than I’d been expecting. The mystery that glued the events together was cleverly played. I Crawl Through It by A. S. King is such a strange story. It can be quite confusing and mysterious. I’ve enjoyed the surrealist fiction that A. S. King has come out with and her storytelling style is unmatched. 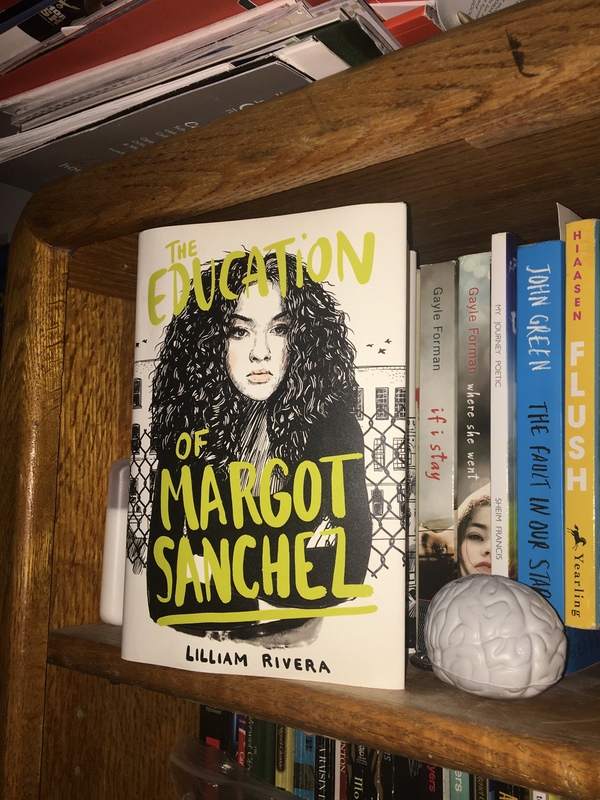 The Educated Negra • This entry was posted in Book Review, Books, Children's, Fiction, Humor, Middle Grade, Suggestions, Young Adult and tagged Book, Book Blog, Christmas, Conflict, Diversity, Family, Gift, Romance. Bookmark the permalink.